This is the event where you’ll make priceless professional connections. Keep reading to discover why our networking and parties are world-class. 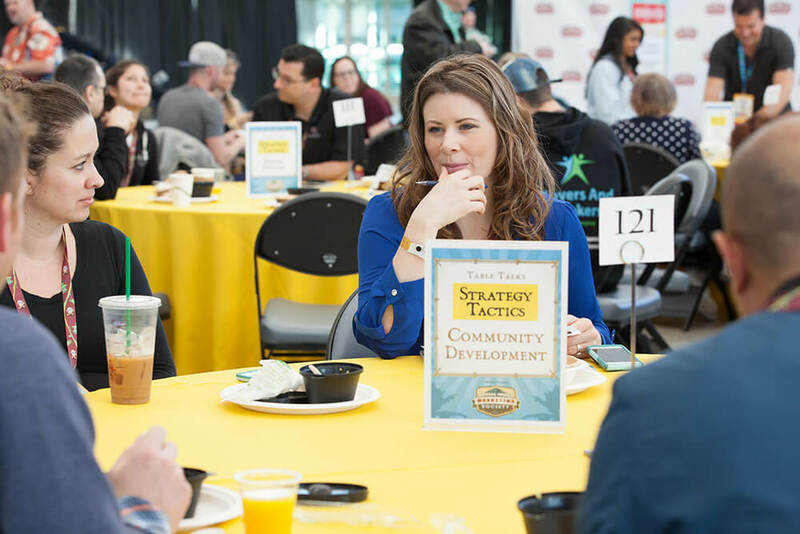 “I loved everything but I was so surprised at how much I got out of things that happened outside the sessions – the networking and amazing people I met were incredible,” said attendee Darnelle O’Brien. We designed this event to enable you to connect with the people you care about in a way that’s simply not possible online. You’re provided many opportunities to get to know the people you connect with via social networks—up close and personal. No need to skip presentations to network; we built these breaks into the schedule. “I’ve already made some good connections with brands, businesses, and creators that I want to facilitate even more,” said Shaun McBride (aka Shonduras). Private Networking Groups:You’ll gain access to our exclusive private networking groups where you can begin making connections with Social Media Marketing World attendees who share your interests. Some of those groups include analytics, connections corner, Facebook, Facebook Ads, Instagram, content creation, social strategy, and first-time attendees. Pre-event Live Online Meetups: Our Networking Ambassadors will help you maximize your experience at our event with online meetups and tips for in-person networking. “The way you used tools to get people connected ahead of time absolutely made the difference in making this a far superior event,” said Mark Meyers. We provide the most comprehensive in-person networking you will ever experience. Networking Plaza: Want a place to sit and talk? Thinking about doing some video interviews? Our Networking Plaza is a large centrally located space where you can do some serious networking—on your schedule. Table Talks: We provide dedicated tables for you to meet for lunch and talk about topics of interest. “I personally thought that the table talks were genius. So easy to find people who are invested in the same interests. Networking goldmine,” said Rebecca Moore. Networking Ambassadors: We have dedicated staff to help you make the connections you want to make! 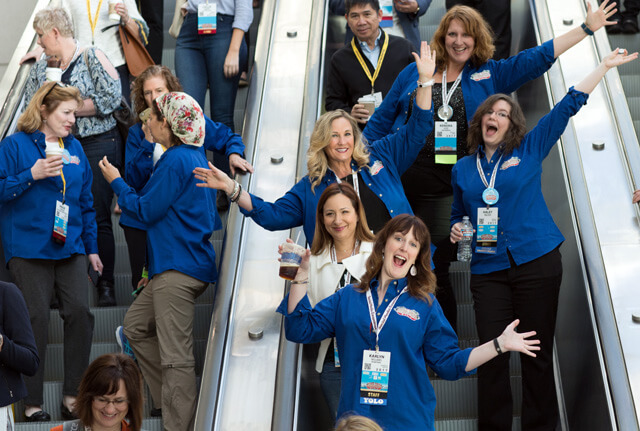 “One of the things that differentiates this conference from virtually every conference—and I get to visit conferences all over the world—is the very, very specific attention to networking,” said Lee Odden. 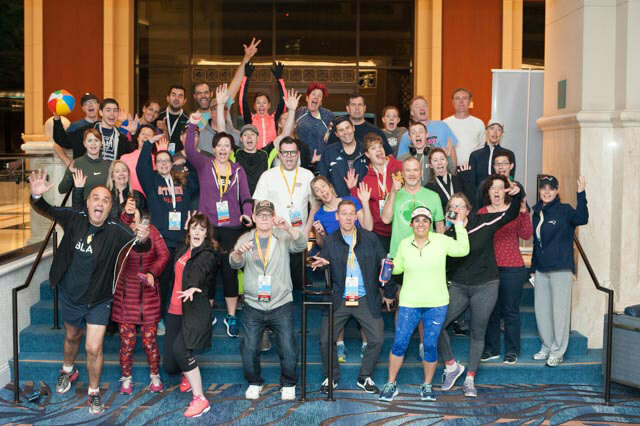 Networking Power Walks, Runs, and Yoga: Join the early-risers for a morning stroll, run or yoga class while you make new connections. “The networking is probably the best you will ever experience at any conference. It’s one of the things that makes Social Media Marketing World truly special,” said Donna Moritz. Exclusively for All-Access Tickets! 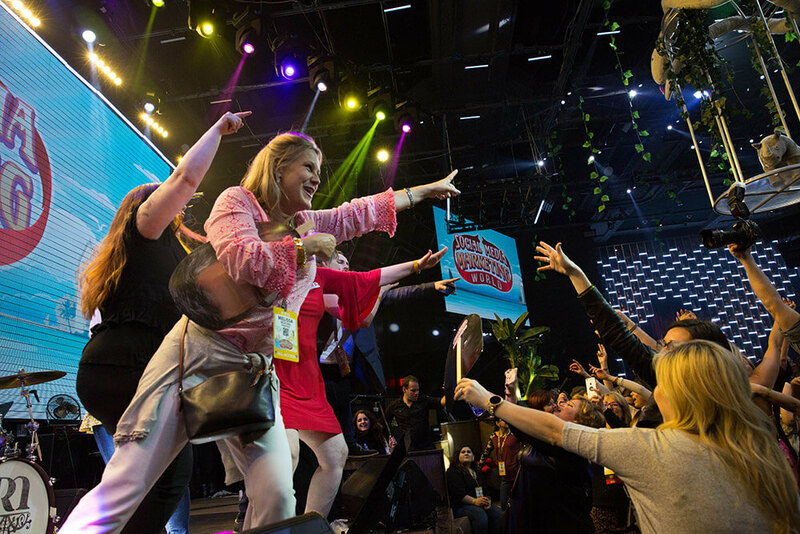 Kick off Social Media Marketing World 2019 in style. On March 20th, 2019, you’ll network with the top social media pros. Enjoy a drink on us, make new friends, and spark conversations at our opening-night networking party. This party is designed for networking. 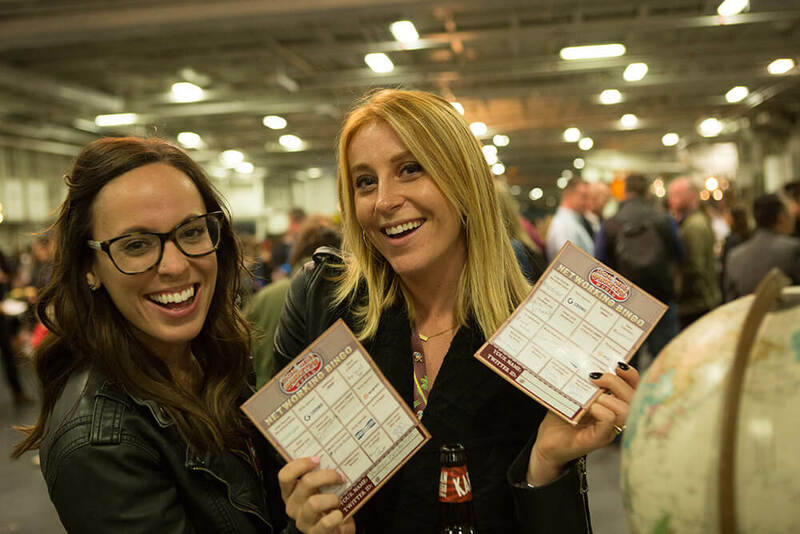 The moment you enter, you’ll be handed our Networking Bingo card, which makes it very easy for you to quickly meet other people. Hey Bud, Let’s Party!! (exclusively for All-Access Tickets). 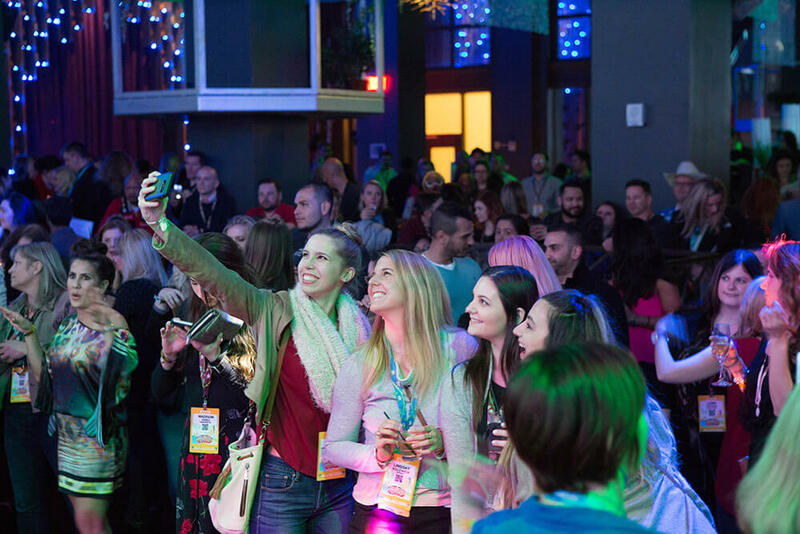 Grab some leg warmers and neon, slide into acid wash jeans and a muscle shirt, or pop the collar on your Izod and join us at our TOTALLY AWESOME 80’s party, the second-night networking event at Social Media Marketing World 2019. Whether you’re a preppie, a material girl, or a big-haired rocker, meet your fellow marketing peeps at a party that celebrates the best decade yet – the 80’s! Grab a mic and sing along with our live band social karaoke to your favorite 80s tunes. You’ll enjoy a bitchin’ good time with speakers and attendees together. 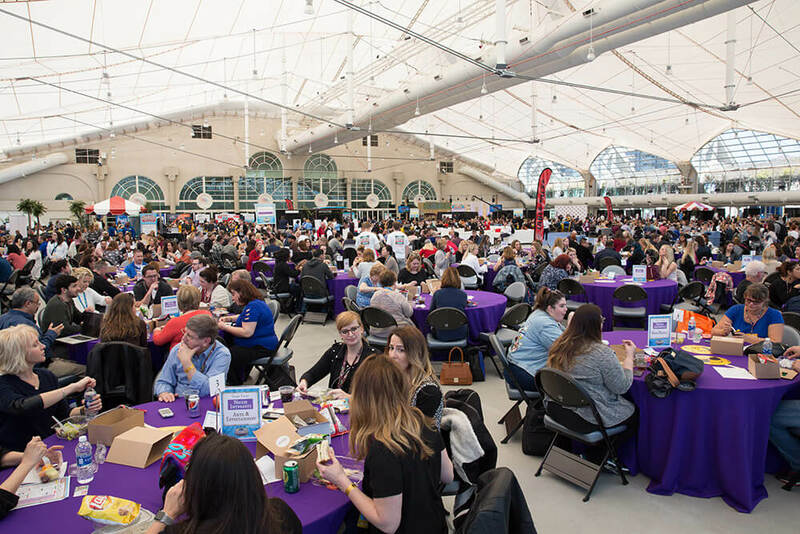 There’s also space to chill out with marketing friends to enjoy cool games, conversation, and spirit-tasting that San Diego is famous for. It’s so totally rad!